I sold my S3X/dyno wheelset and halogen lights, leaving the Ross without a front wheel (because I didn’t go get one off the pile in the shed and put a tire on it), and I took the chain for the Singular, or maybe the Quickbeam after I rode it on gravel paths in a rainstorm. 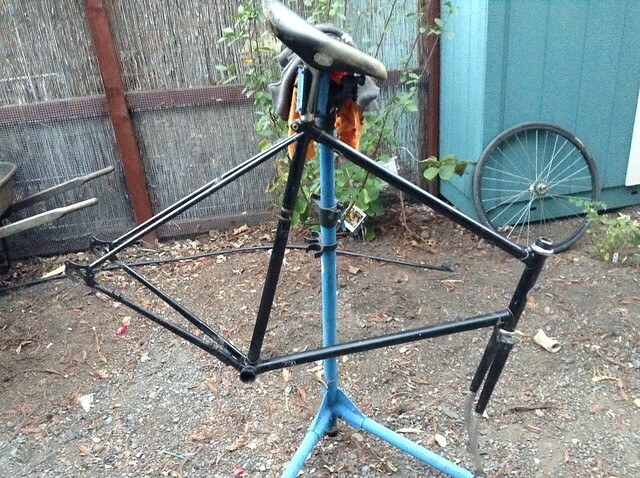 I had planned to make this into a geared roadbike, with the old SON hub and new IQ Cyo LED headlight, but no derailleur hanger or shifter bosses make it seem better off remaining a fixie. Maybe the Quickbeam needs to become the fendered winter commuter, and the Ross setup as the fixed/free double-single “fast” roadbike. You can always use one of those clamp on derailleur hangers, they work pretty well and are generally less janky than one would imagine. Also clampy downtube shifter bosses or stops are pretty easy to get ahold of. I have the original horrible little clamp derailleur thing, and a Campy DT shifter band I got to replace the Arabesque shifters I gave away. I think the thing is that I’m not 100% convinced that I need more than two gears. The headset needs an overhaul, and the bottom bracket is crunchy. One of the pedals is tight. 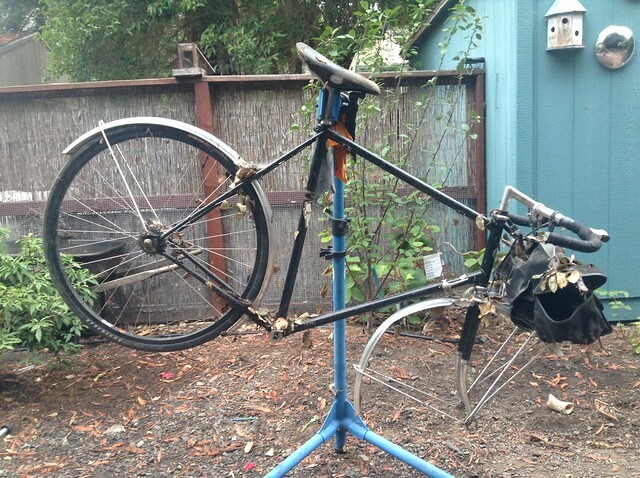 I hung it up in the shed, and I’ll go through the Gary Fisher Gravel Roadster next weekend.